Several Mesa County Clerk and Recorder staff members prepare and serve dinner at HomewardBound of the Grand Valley, 2853 North Ave., on Monday evening. HomewardBound of the Grand Valley provides a safe and healthy step for homeless adults and families on their pathway home. Mesa County Clerk and Recorder Sheila Reiner gets ready to serve chili. Per day, an average of 150 residents experiencing homelessness receive a hot meal at HomewardBound. Motor Vehicle Customer Service Specialist Katie Conner is ready to roll up her sleeves and help cook and prep. The Mesa County Clerk and Recorder staff used personal funds to provide a meal for the less fortunate at HomewardBound. All hands on deck. Mesa County Clerk and Recorder staff members make sure everything is ready to go before HomewardBound opens its doors for dinner. Mesa County Clerk and Recorder Sheila Reiner, Elections Manager Patti Inscho and Motor Vehicle Manager Bobbie Gross. Mesa County Clerk and Recorder Sheila Reiner and her daughter volunteer at HomewardBound. Residents experiencing homelessness go through the dinner line Monday evening. Mesa County Clerk and Recorder staff members serve dinner at HomewardBound. Save money, increase your physical activity, and (in honor of Earth Day) reduce your carbon footprint by riding Grand Valley Transit (GVT)! If you don't know how to use the public transit system, GVT invites you to a free "Learn to Ride" class Wednesday, March 28, from 9-11 a.m. at 525 S. 6th St. in Grand Junction. Complete details can be found at gvt.mesacounty.us. Mesa County Commissioners present Doug Sorter of STRiVE with the Developmental Disabilities Awareness Month proclamation. From left to right, Commissioner Scott McInnis, Doug Sorter, Commissioner John Justman. 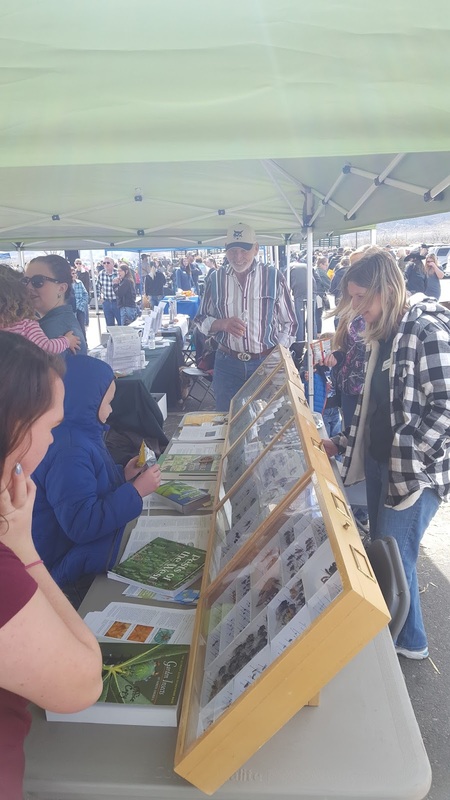 For more information, visit http://blog.mesacounty.us/2018/03/raising-awareness-about-people-with.html. Mesa County Commissioners appoint Ron Velarde to the Grand Junction Regional Airport Authority. Mr. Velarde will be fulfilling the unexpired term of a county-appointed resigning director. 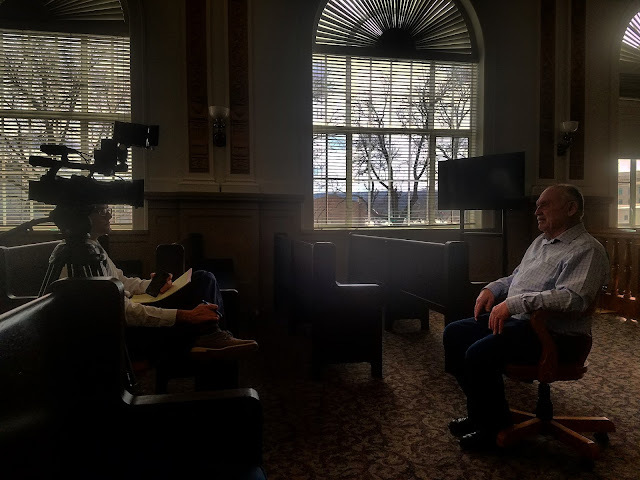 Mesa County Commissioner John Justman talks to KREX News Channel 5 Reporter, Brandon Thompson, about the Anvil Points oil and gas lease revenues rightfully owed to Mesa County. Watch the interview at https://goo.gl/P7QyEy. 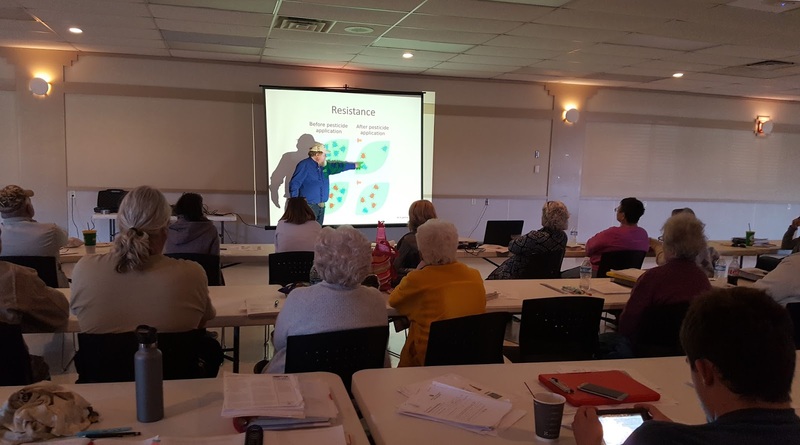 CSU Tri-River Area Extension hosts the annual Master Gardener training classes to train participants regarding the many aspects of yard and agriculture management to help homeowners solve problems with their lawns, gardens, trees and more. Bill Ekstrom with Rio Blanco County CSU Extension spoke with the Master Gardener students about proper methods of pest identification and management. Pests are not only insects but a larget category that includes weeds, fungi, rodents and other nuisance species. Teresa Nees with Noxious Weed & Pest Management hosted an information booth at the Co-Op for the Fruita Farm and Ranch Days event. 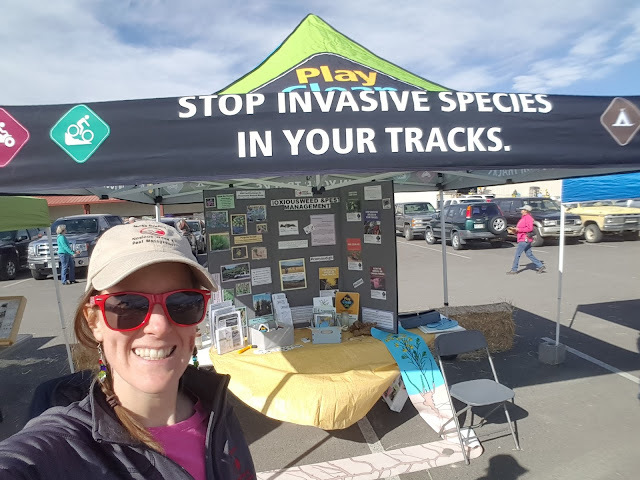 She handed out weed management information and applied temporary tattoos to remind attendees to Play Clean Go and prevent the spread of weeds and other invasive species. 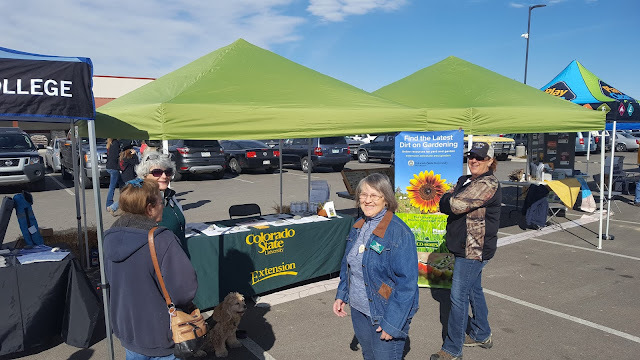 Susan Honea, Horticultural Coordinator with CSU Extension, and Master Gardener apprentices hosted a booth at Fruita Farm and Ranch Days and helped answer questions about gardening, weeds, and other yard maintenance issues. Folks who came out to Fruita Farm and Ranch Days loved checking out the western Colorado insects display hosted by CSU Extension Entomology. 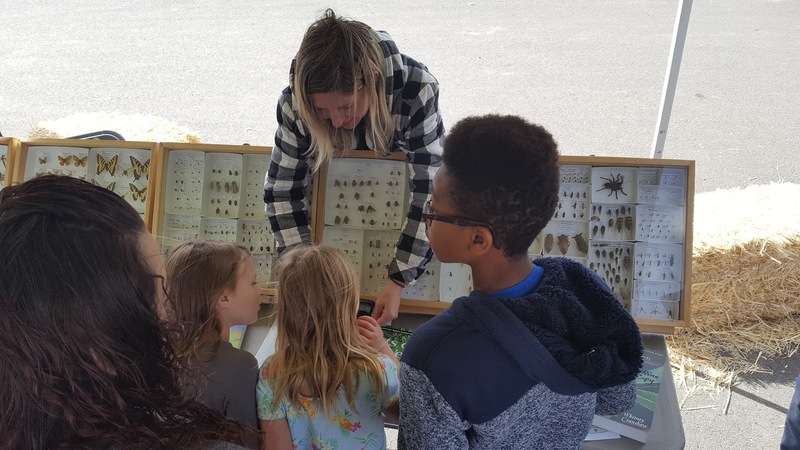 Meredith Shrader, the Entomologist for CSU Extension, shows off an exhibit of many of the insects found in western Colorado. 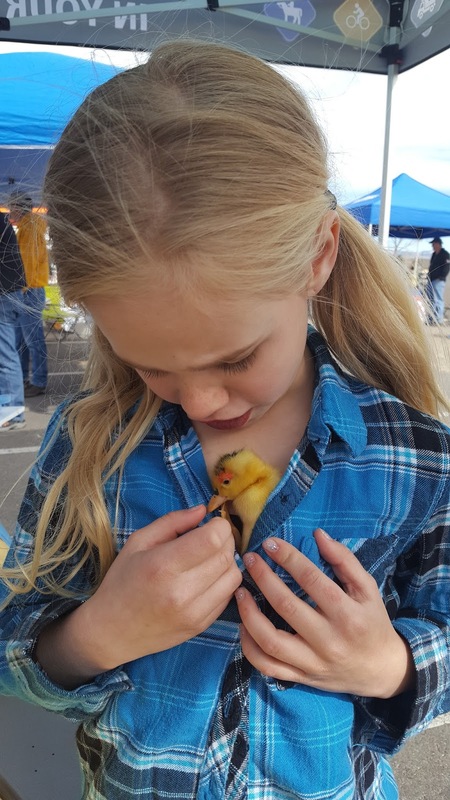 A visitor at the at Fruita Farm and Ranch Days holds a baby chicken. Mesa County Solid Waste Director Barrett Jensen talks to KREX News Channel 5 Reporter, Colette Bordelon, about the upcoming Mesa Magic compost sale, which starts Tuesday, March 20. 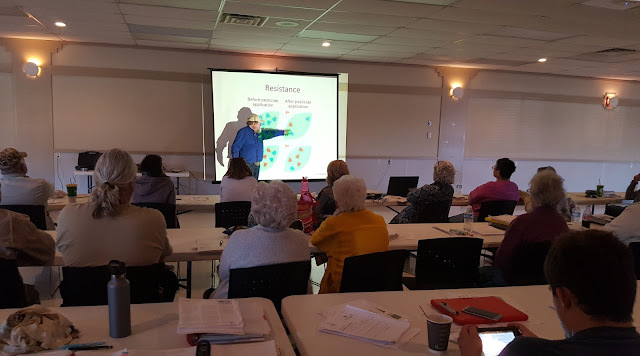 Learn more at https://goo.gl/JgzAra. 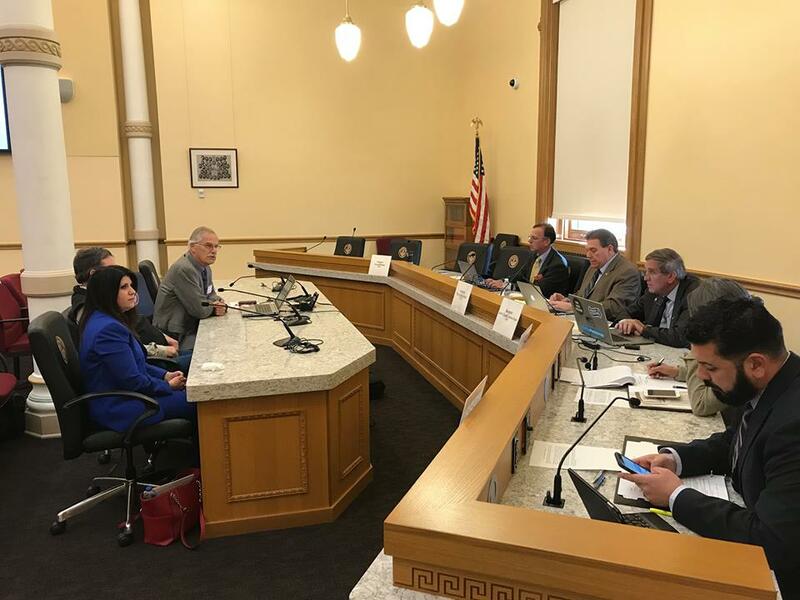 Mesa County Commissioner Rose Pugliese testifies alongside Rio Blanco Commissioner Shawn Bolton before the Senate Select Committee on Energy and Environment about the importance of the Jordan Cove Project in Colorado, especially for the Western Slope. Mesa County Commissioner Scott McInnis testifies remotely from the Colorado Mesa University (CMU) campus before the House Health, Insurance, and Environment Committee on three bills regarding conservation easements. Mesa County Commissioner Scott McInnis testifies on House Bills 1122, 1123 and 1194 before the House Health, Insurance, and Environment Committee Thursday afternoon. 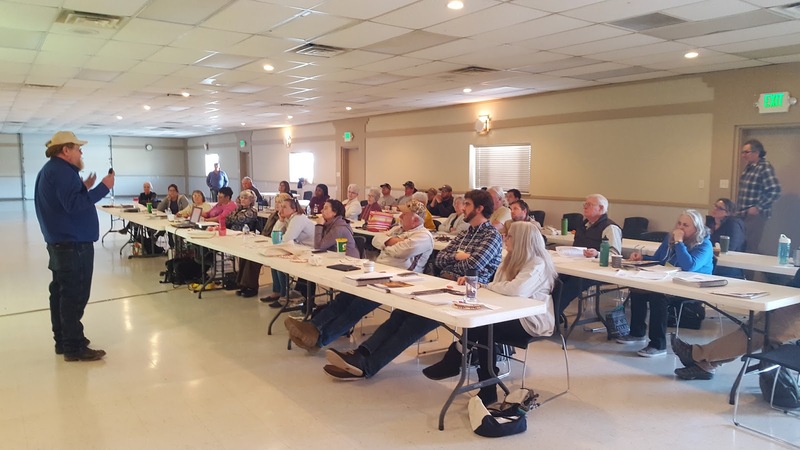 Mesa County Commissioner Scott McInnis discusses conservation easements. 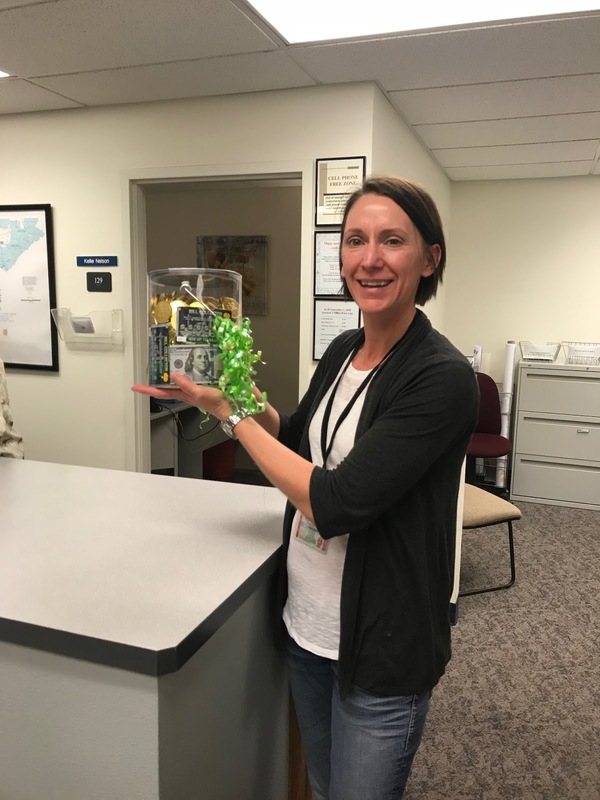 Anne Opitz, in the Assessor's Office, is the winner of the Mesa County Employee Association (MCEA) Pot O' Gold contest. The winning number was 241. Many Mesa County employees work on a GIS project together. 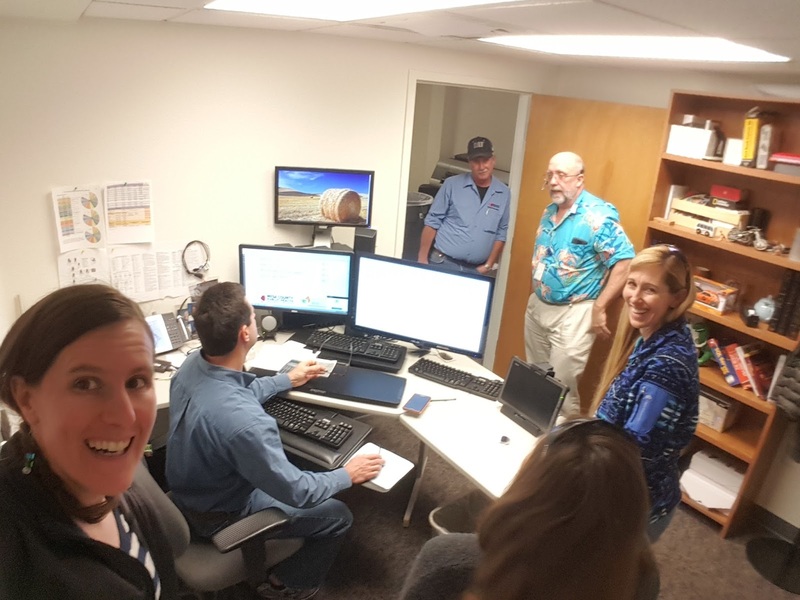 Ain't no party like a GIS party cause a GIS party don't stop! Test your Mesa County geography skills, take a quiz here. Mesa County Solid Waste Director Barrett Jensen presented a lunch n learn at Mesa County Public Health earlier this week. 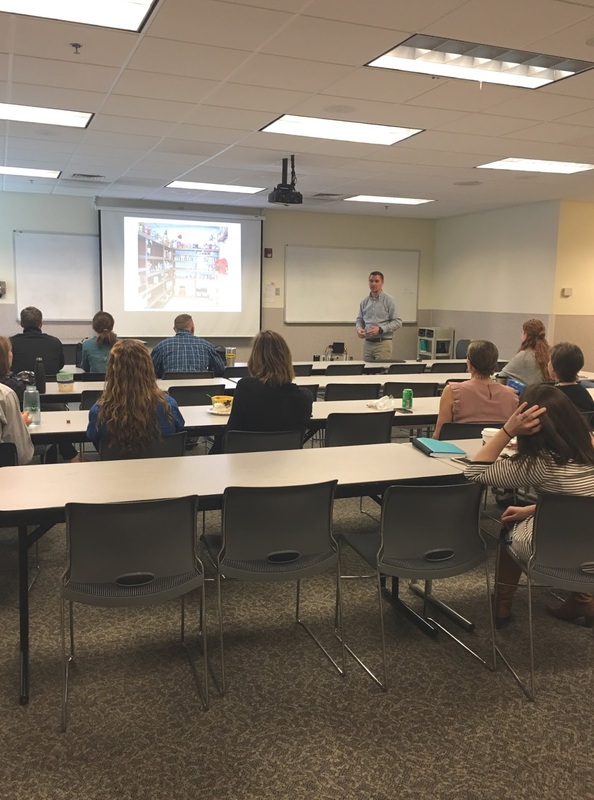 Staff used their lunch hour to learn about reducing waste, reusing and recycling.